I absolutely love any baked goods with fresh fruit in them. And apples are a big favorite. A definite no-brainer to alter this old coffee cake recipe to include apples instead of blueberries. I mean what could be better than coffee cake and apple pie for breakfast? Unless there’s chocolate thrown in there somewhere I don’t think it could be better. First, make the apple pie topping. I typically have baking apples (granny smith, gala, rome, jonagold, jonathan, mcintosh) in the fridge and use a variety. They’ve all worked great just make sure they are sweet, tart and crisp. 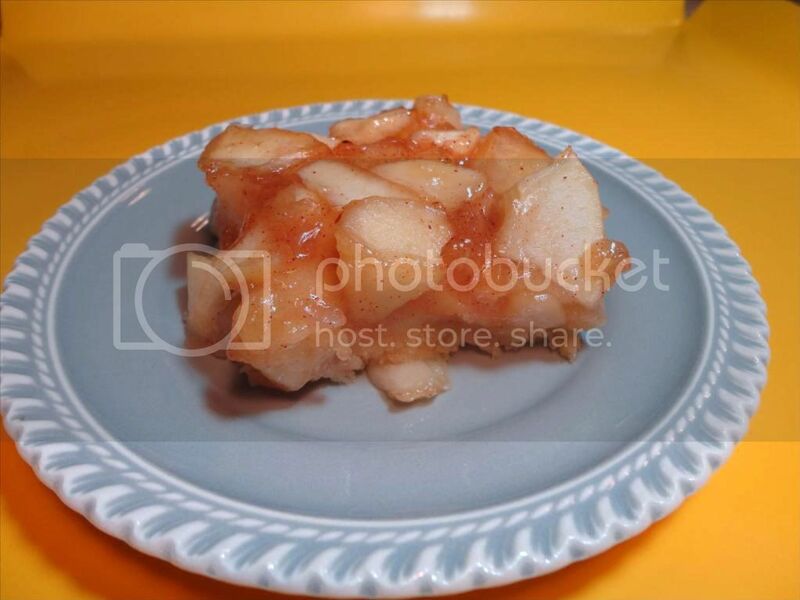 To prepare topping, in a large skillet combine the apples, sugar and cinnamon. Cook over medium heat, stirring occasionally, for 5-7 minutes, until apples are tender, but still firm. In a small cup, whisk together cornstarch and lemon juice. Add to apple mixture and continue cooking, stirring occasionally until thickened. Remove from heat and set aside to cool. Second, mix the dough. Using a mixer, cream together butter and sugar till light and fluffy. Add the egg and vanilla, mix. Mix dry ingredients in a separate bowl, then add alternately with milk. 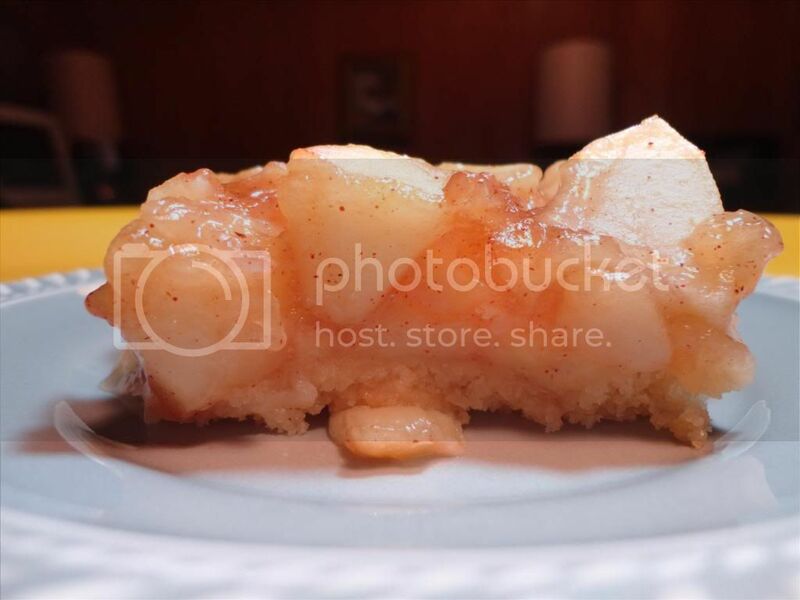 Beat batter until smooth and spread in a greased 8×8 inch square baking pan. Carefully spoon cooled apple topping over batter being careful not to press to hard when spreading. If you push too hard the batter will be thin in the middle and thicker on the edges. It will still bake fine and taste amazing but might look a little off. Bake at 350 degrees for 30 minutes. Use a toothpick to test. Serve while still warm.